This handbook was developed with the aim to equip development practitioners from different line agencies and sectors in Sindh Province with knowledge and understanding on DRR and climate change adaptation (CCA) and the need for DRR interventions. 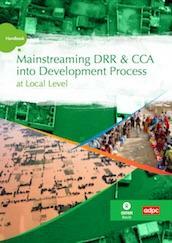 The handbook provides overview of current development planning processes, DRR instruments (including institutional arrangement, DRR Plans and initiatives) at national, provincial and district level, and explore potential entry points for the integration of DRR and CCA. The handbook could be used as training resource or for self-study for DRR and local development practitioners in Sindh province and for interested persons. This handbook comprises five chapters: 1) Introduction to Disaster Risk Management; 2) Climate Change Adaptation (CCA); 3) Understanding Mainstreaming DRR, CCA & Development; 4) Disaster Risk Reduction (DRR) in Sindh Province; and 5) Mainstreaming DRR and CCA into Development Process at District Level. Number of pages/running time 50 p.